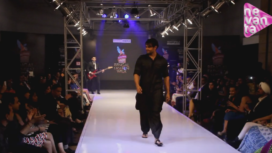 Beat the Heat with High Fashion! 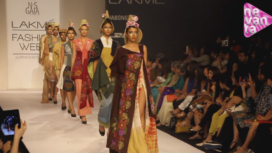 “Sylvan Swain”, a creative collection inspired by the historic Art Nouveau era, sees light at the Lakme Fashion week Summer/Resort 2014. 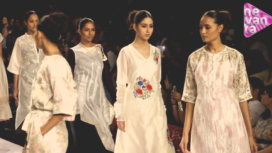 Lalit Sengar creates quite some noise with his very first collection which is a reflection of the era's unique style of art and architecture. The seamless amalgamation of tones, textures, style, construction and design offers a timeless feel to the ensembles. The designer adds his design sensibilities to block prints, hand embroidery and screen prints that he generously plays with on the ensembles of both sexes. Printed suits, baggy pants, designer waistcoats, draped gowns and experimental western separates gives the fashion conscious crowd a range of interesting options to try. 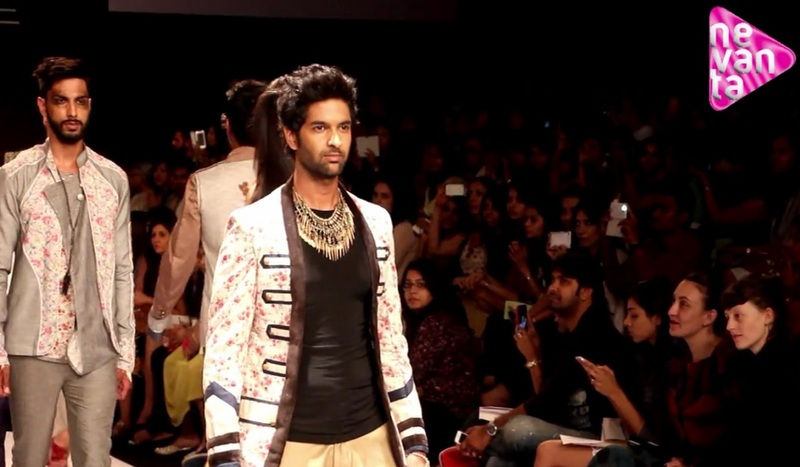 Upping the glam quotient for the show is popular TV host and actor Purab Kohli who strutted down the runway in a printed jacket teamed with baggy pants. He also carried off the heavy neck jewellery given to him in great style. 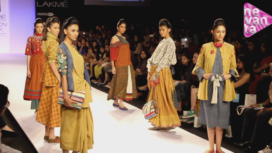 Nevanta brings you this glimpse from the show, take a look.